Learned League precedent (LL72, MD9) – What is the word for the miniature choux pastry balls, also simply called cream puffs, that are an essential part of wedding celebrations in France, where they are assembled into a croquembouche? The name comes from the diminutive of a French term synonymous with “gain”? Although profiteroles have been mentioned twice on the blog (once on Dough and once on Operatic Foods), I was fortunate enough to see these again after trying to do an edition on Tall Foods, as we did have Dagwood sandwich question a little while ago. I couldn’t muster up enough tall foods to make a post, but it did help me remember them, so now I’m 3 for 4. Since those croquembouches are in a nice pyramid shape, today’s post is all about the power of the pyramid. Here are your six questions, go! 1. In the former food pyramid, which numbered slot did fruits go in? 2. Kransekake, translating as wreath or tower cake, is a special occasion dish in Norway and Denmark, with rings made from what, along with sugar and egg whites? It’s also the main ingredient in a frangipane. 3. 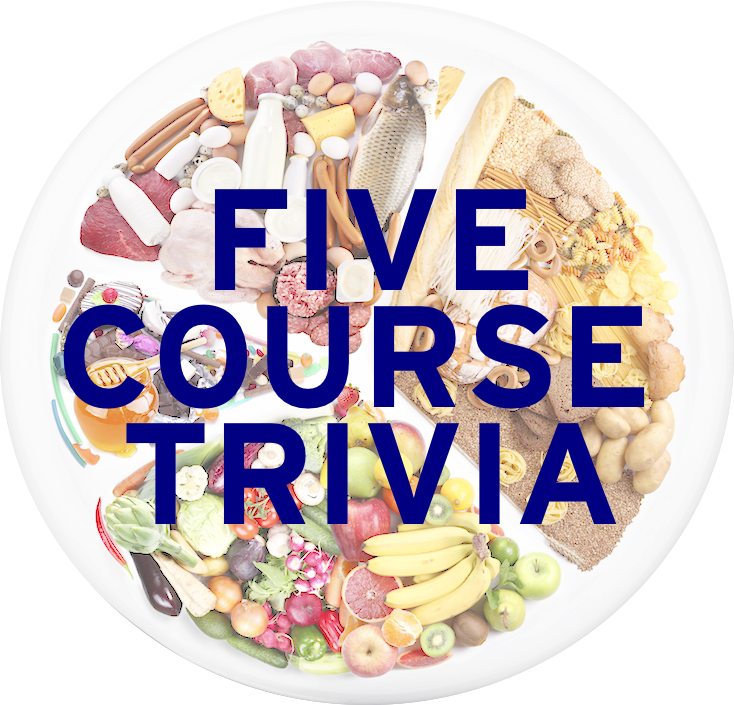 Valençay, a cheese made in the Berry province of France and which features a truncated pyramid shape, is made from which animal? One story of Valençay is that enraged Napoleon took a sword and chopped off the top of the pyramid cheese after suffering a major loss in Egypt. 4. The pyramid-shaped item seen here can be found at what chain of restaurants? 5. According to the sons of the creator of a namesake food item in 1908, what food was given its shape after its creator saw a human pyramid he saw at the Folies Bergère by dancers? 6. Of beer, wine, coffee, or water – which one was a staple of Ancient Egyptians, to both poor and rich?